Your donation supports ZSL’s work for a world where wildlife thrives, from safeguarding forests in Cameroon to protecting the last remaining population of Asiatic lions in Western India. Your support really makes a difference. You can help support us every time you shop using Amazon. Simply use the link below and Amazon Smile will donate 0.5% of your total spend to your chosen charity, at no extra charge to you. Make it ZSL (Zoological Society London). 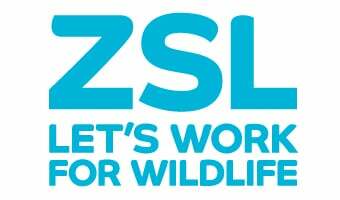 Text ZSLWILDLIFE to 70300 to donate £3 to ZSL’s conservation work. ZSL America Inc. is a 501(c)(3) registered non-profit devoted to the worldwide conservation of animals and their habitats. Learn more about how to support ZSL America Inc as a citizen of the United States. If you have any questions about donating to ZSL America Inc. then please contact info@zslamerica.org or on +1 347943 1964 or +44 (0) 20 7449 6403. Please fill out our postal donation form and send a cheque, together with your name and address details. To donate by credit card please call the Development department on 0344 225 1826 and your donation will be taken over the phone.